Unfortunately, Active Shooter threats have become more common in recent years. How should employers respond to active shooter threats? 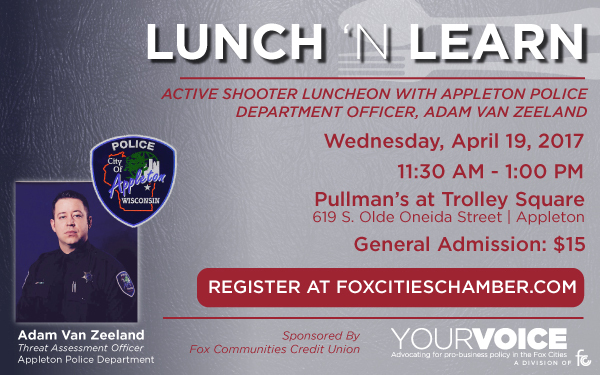 Join Adam Van Zeeland, Threat Assessment Officer, from the City of Appleton's Police Department for an overview of the Run-Hide-Fight strategies, and other steps businesses can take to prepare for the unexpected.